Style Finish Design is a specialist supplier of Architectural Door Hardware to the Residential Building Industry. Established in 1970, we have built a solid reputation as a leading supplier of Architectural Door Hardware on hundreds of commercial and residential building projects - large and small. We create and import Contemporary and Traditional Architectural Hardware to compliment any design. Our range includes Door Handles, Cabinet Knobs, Cabinet Pull Handles, Entrance Handles, Sliding Door Fittings, Locks, Latches and General Hardware. Our Architectural Hardware is high quality, functional, durable, aesthetically designed and cost competitive. MAXI Plywood is Australia's leading manufacturer and supplier of premium decorative plywood and specialty timber panel products. We are a family owned business, who have been around in the timber industry for over 30 years. Our objective is to lead the decorative timber panel market through our partnership with the world's leading plywood and timber panel manufacturers, along with providing premium service and support to our customers. We offer an extensive range of decorative plywood for all applications in the design and building stage such as kitchens, bathrooms, storage units and furniture. We work closely with you and carry out research to understand your needs and wishes. At MAXI, we take pride in our ability to work in with customers and clients to help them create products and designs truly unique to them. Our service is driven by the needs of the customer, by quality and innovative products, and by delivering a competitively superior solution. We are an Australian company that has been in the building industry for over 20 years, we understand that in today's competitive market you need to be able to differentiate your finished products at a reasonable cost so you can have the edge on your competitors and we can help you achieve this. We understand the challenges facing builders, developers and renovators and we have gathered the best selection of products for you in one place. We invite you to come and take advantage of our low prices so you can complete your projects on time and on budget. Our primary goal is to provide customers with the products and services they need in a timely manner, at competitive prices. We think the simplicity of this goal allows us to focus on winning your business, not through words, but through action. So whether you are a property developer, builder, or just an individual wanting to renovate or build a house or unit, ACS Designer Bathrooms can help you. Our range of building products cater to almost all elements of your home, and include: • Bath Tubs • Hydrotherapy Systems • Shower Heads • Toilets • Taps & Mixers • Bathroom Accessories • Washbasins • Door Hardware • Vanities • Floor waste & Grates Contact ACS Designer Bathrooms today to find out how we can help with your project, and save you money! We're specialists of recycled and reclaimed Australian hardwoods, sourcing local timbers with great stories. We offer a range of timber design solutions including flooring, cladding, decking and timber benchtops for commercial and domestic projects. We also provide FSC certified new timber alternatives. Our motto is "Source Globally, Supply Locally" meaning we source building materials from manufacturers around the globe (and around the corner)and bring them to your doorstep. You can be sure that we know our stuff.All we do is building materials. That's it. We specialise in it and we are experts in it. We have relevant construction industry experience and we continue to live and breathe it every day. You can trust that we will be around when you need us as we are a leading online retailer of building materials, not a backyard operation. You can even pick up from our warehouse or dedicated pick up locations around Melbourne. You can speak to a human, not a computer. We are different to other online retailers in that you can we make it easy for you to contact us by email, quick query or even call us direct. Bellevue Group Australasia: a wholly Australian manufacturer and supplier, with many years’ experience in the building industry. 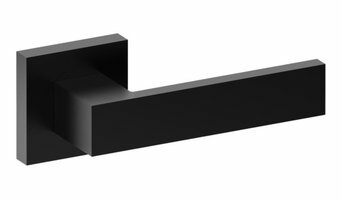 Our market leading VUETRADE range of Building Brackets and Timber Connectors, in both Galvanised and Stainless Steel, are delivering Innovative, Quality and Timesaving products for the building industry. We understand and provide for your needs, through a network of retail and trade outlets for our range of products. As many of our products as possible are made in Australia. This committal is born of two logics; we have a belief in the quality of product made in Australia, for Australian conditions, and a committal to supporting jobs here in Australia. Contact us for assistance with sourcing our products – Phone 1300 850 520 or email customercare@bellevuegroup.com.au Our products are stocked in trade outlets and hardware stores right across Australia. If you can’t find a particular product at your local outlet, just ask! They have access to our range and we can have the item you require shipped promptly! JH Flor offers engineered flooring made of French Oak, one of the finest oaks in the world for flooring purposes, in oiled, lacquered or brushed alternatives. You will feel the difference of JH Flor Engineered Flooring the moment you touch it. The JH Flor Enginered Oak Flooring collection stands out with its quality for those who are looking for durability, elegance and high quality. Manufactured using multi-directional constructed engineered boards with multiple layers of wood to prevent deformation and to increase durability. This assembly increases the boards’ resistance to expansion and contraction from changes in humidity and temperature reducing warping or cupping. Hence these engineered boards are superior to solid Oak flooring in both durability and stability, with the benefit of easy installation and availability in larger sizescompared to solid flooring. 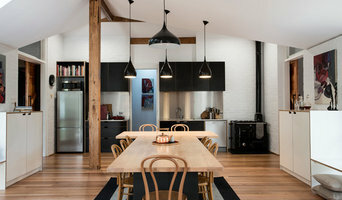 Just Eco is a Melbourne based company specialising in recycled and salvaged timbers. We focus on removing and salvaging timber from sites all across Australia to create custom pieces of flooring, joinery, decking and cladding. Our team at Just Eco are committed to working with customers and clients to integrate timber pieces that complement and enhance any scale project. Skylight manufacturing & installations Australia wide. 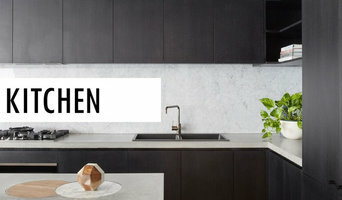 Wilson & Bradley is a family owned and run company servicing and supplying the kitchen, cabinet making and furniture manufacturing industries with quality hardware, throughout Australia since 1976. Being a family run company has allowed the company to gain the reputation of a level of service other large companies simply cannot compete with. Wilson & Bradley boost such brands as Blum drawer systems, hinges and overhead systems, Kingslide drawer runners, Wesco waste bins, Sige storage solutions and Soudal adhesives plus an extensive range of knobs and handles, screws, ergonomic fittings, wire ware and plenty more. Visit Wilson & Bradley's website or for further contact details. Robertson's Building Products provides innovative, customised wall and floor solutions to help architects, designers, builders and homeowners meet the challenges of the built environment. Our founder, Peter Robertson, was previous owner and manager of the highly regarded and very successful Daniel Robertson Bricks for over 20 years. Backed by nearly 160 years’ experience in the Australian building products industry, Peter saw a real need for innovative products that contribute exceptional solutions to contemporary building design ideas. What sets us apart is the unique nature, breadth and quality of the products we supply, their flexibility to adapt to your project’s requirements, and the personalised service and proven expertise we bring to develop the best solution for you. Our unique clay and stone bricks and brick facing tiles and brick slips will enrich and invigorate your projects with their unconventional and contrasting textures, and their countless special colours and sizes, helping you to achieve state of the art designs. And, our product range keeps growing. We’re continuously developing existing products and sourcing new bricks and thin brick tiles, both locally and internationally. Elite Door & Tap Hardware offers you the complete package from start to finish. Our staff have extensive knowledge of some 47 years in the industry and will be able to guide you through your project in a professional pleasant and painless manner. One of the fundamental objectives at Elite is the responsibility in quality, service and information regarding our products. The constant improvement, and the criteria of balanced growth, brings into a company a coherence that all companies would like to have. Got a problem with a door, window or fitting handle or lock we can assist. We are the leading retailer of home improvement and outdoor living products in Australia and New Zealand and a major supplier to project builders, commercial tradespeople and the housing industry. We empower consumers by providing free resources covering the key considerations for those about to embark on a residential building project. We also offer paid Builder Background Reports investigating the vital elements required to make an informed decision on your shortlist of builders. In this category you’ll find companies that source and provide everything you need to build your Ormond, Victoria home from the floor up, from timber flooring and synthetic grass to plumbing supplies and door hardware. Some companies will stock all kinds of hardware, while others will have areas of expertise. Raw materials and how they’re applied – including everything from metal roofing and timber panelling, to board-formed concrete and porcelain tiles – can provide infinite design possibilities. If you’re working with an Ormond, Victoria builder, architect or designer, they will likely have favourite building materials they like to work with, as well as favourite suppliers. Ask them for examples of how the material has been used in past projects, and seek out alternatives for comparisons. Find building supplies in Ormond, Victoria on Houzz. Scroll through this page to find companies that source and deliver building supplies in your area. You can browse their portfolio, read reviews and see how other tradesmen and homeowners rate their customer service, expertise and product.